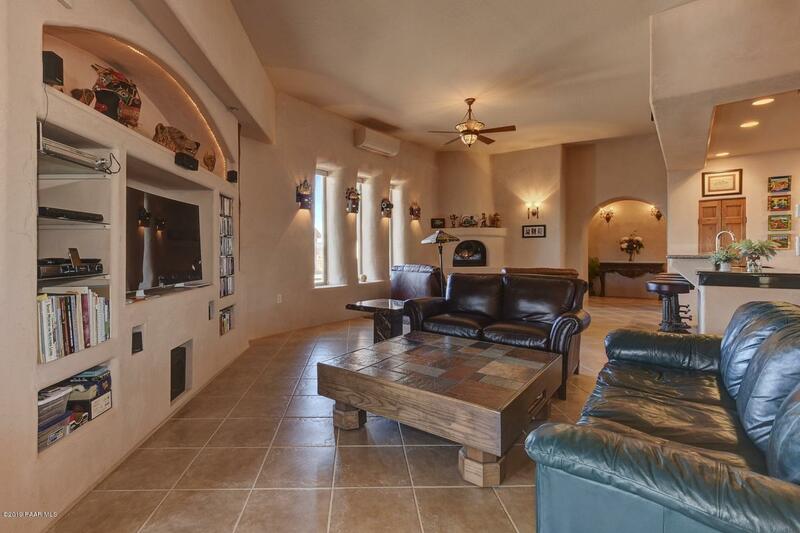 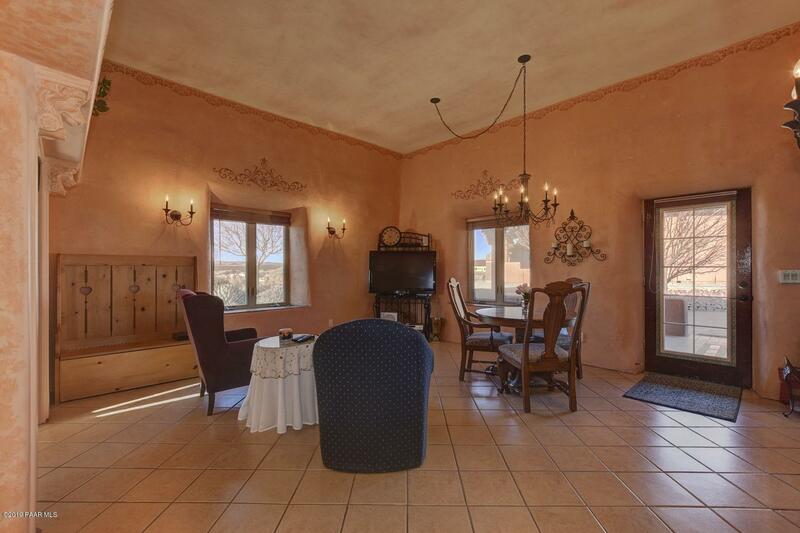 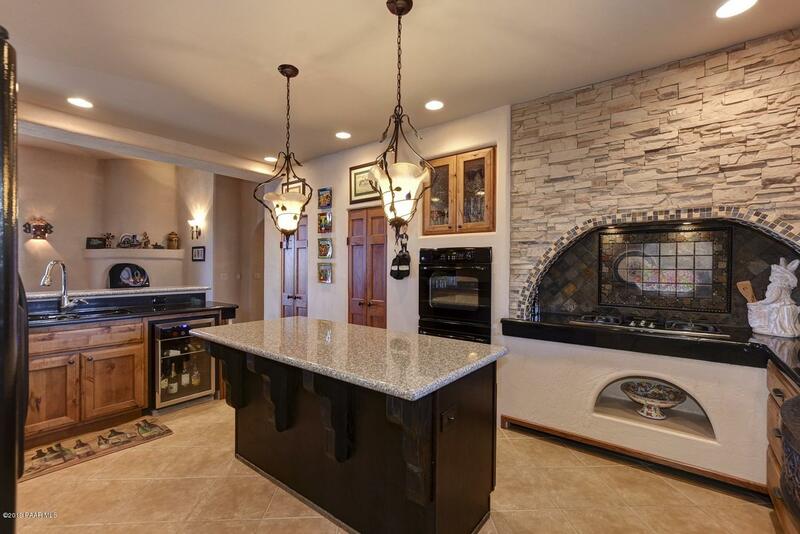 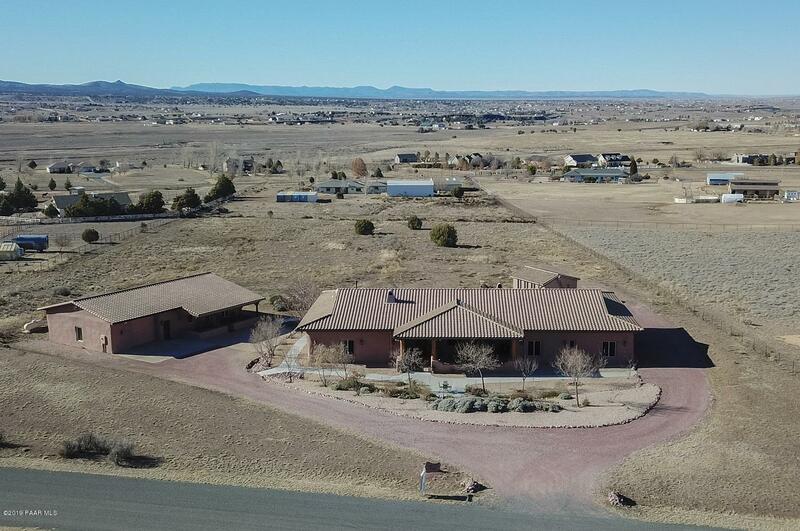 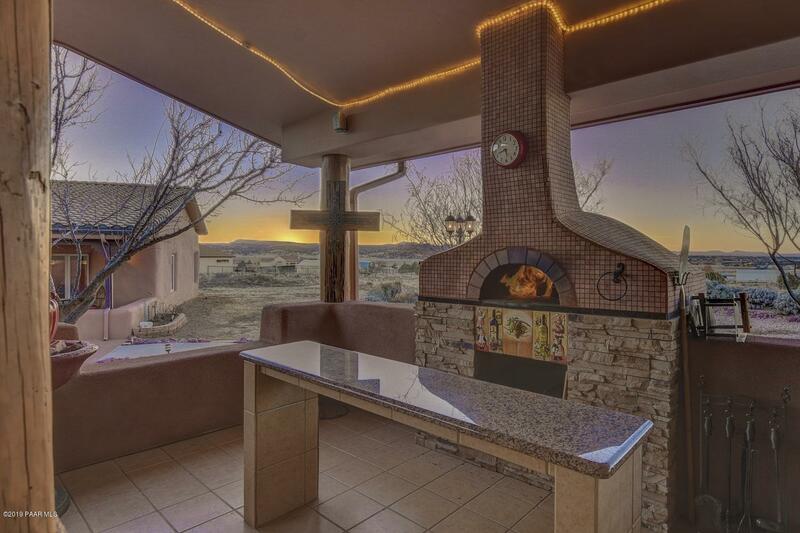 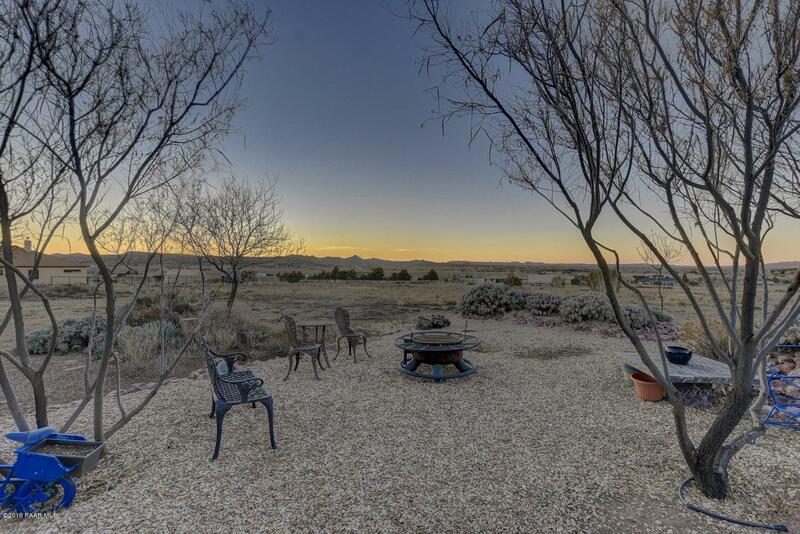 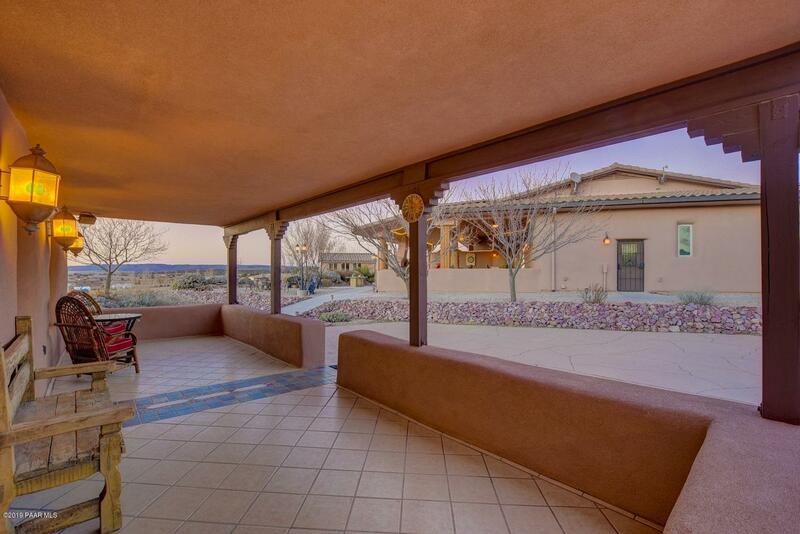 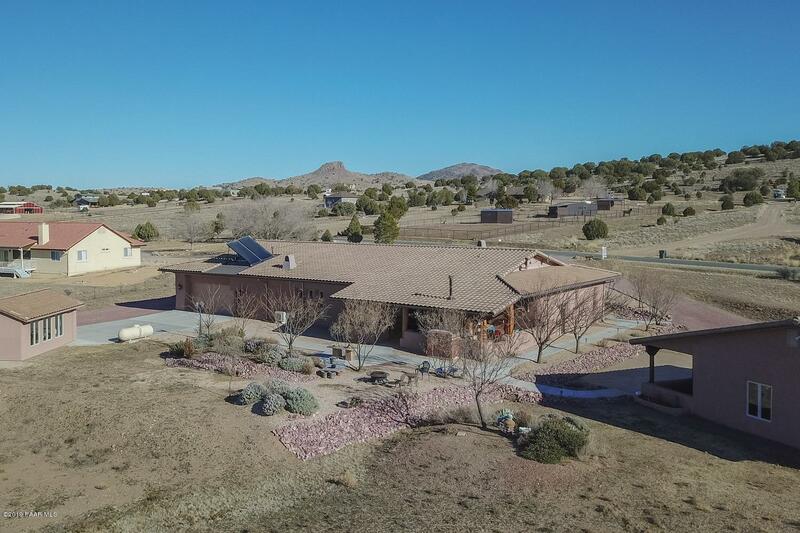 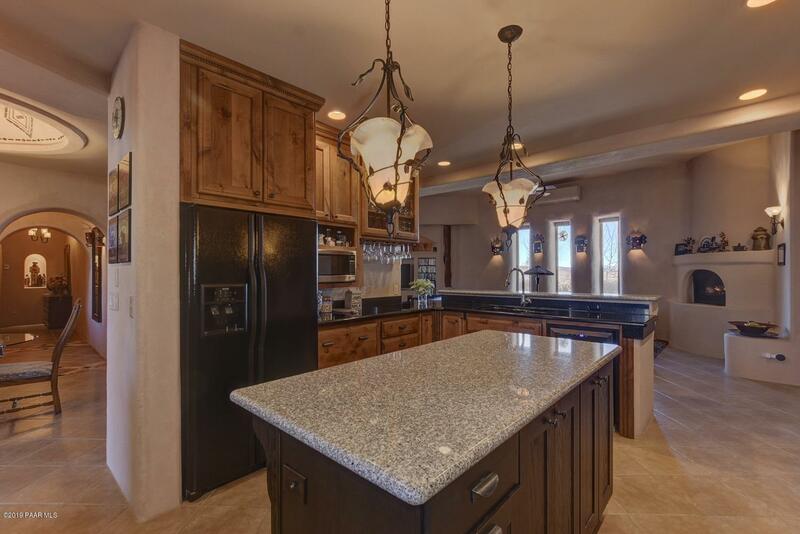 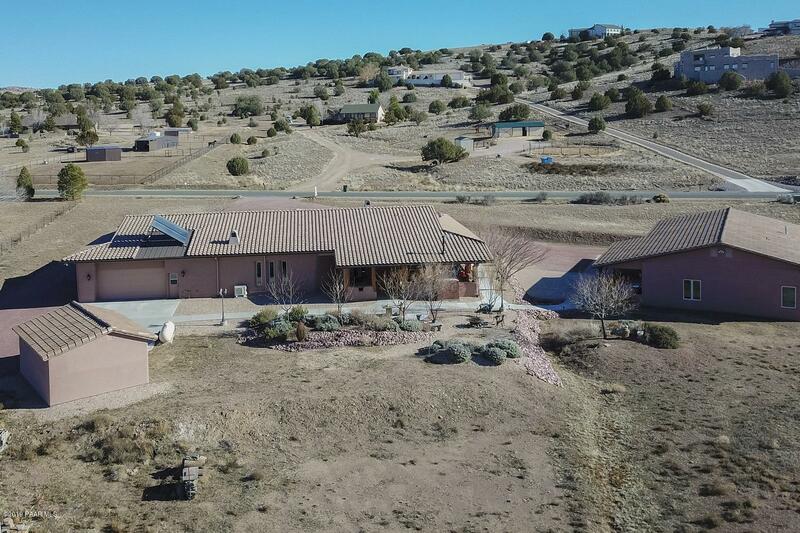 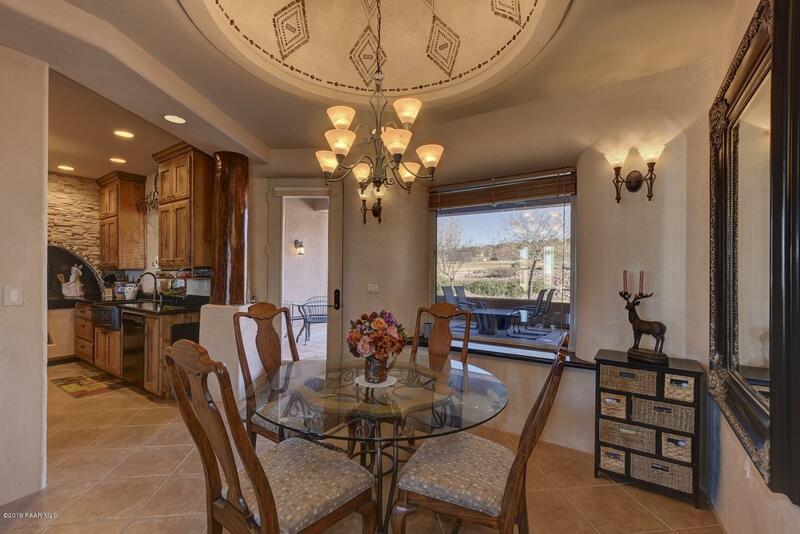 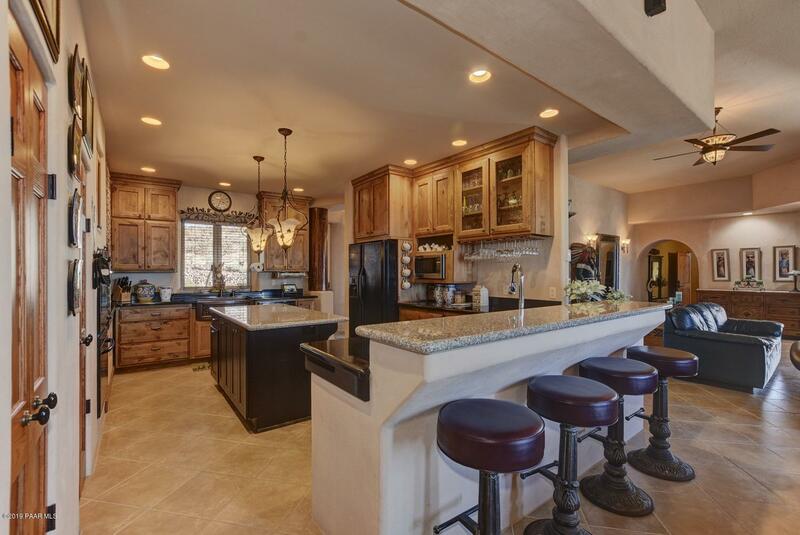 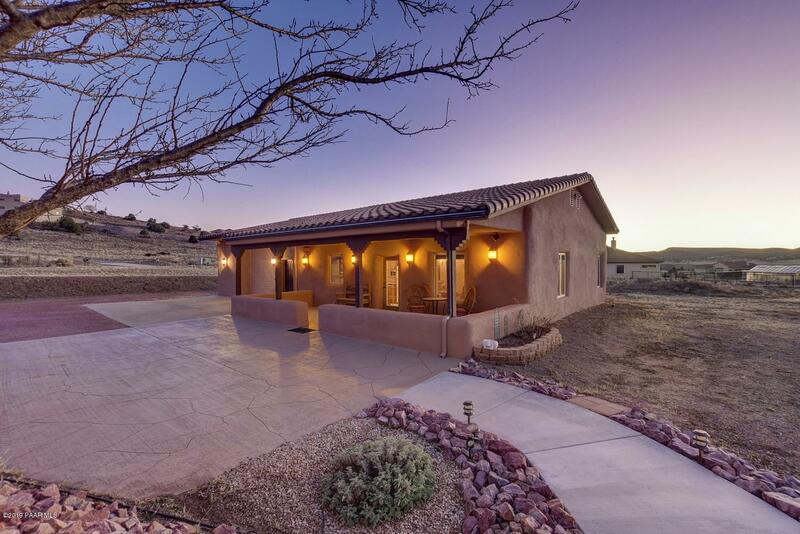 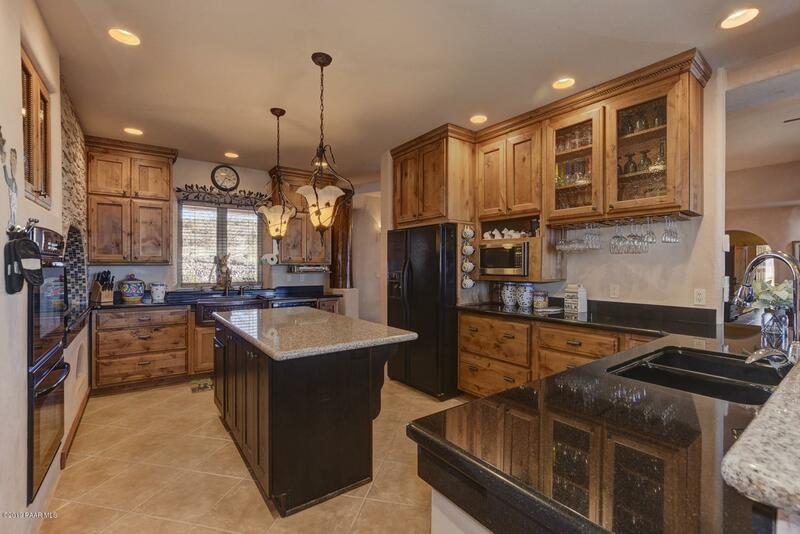 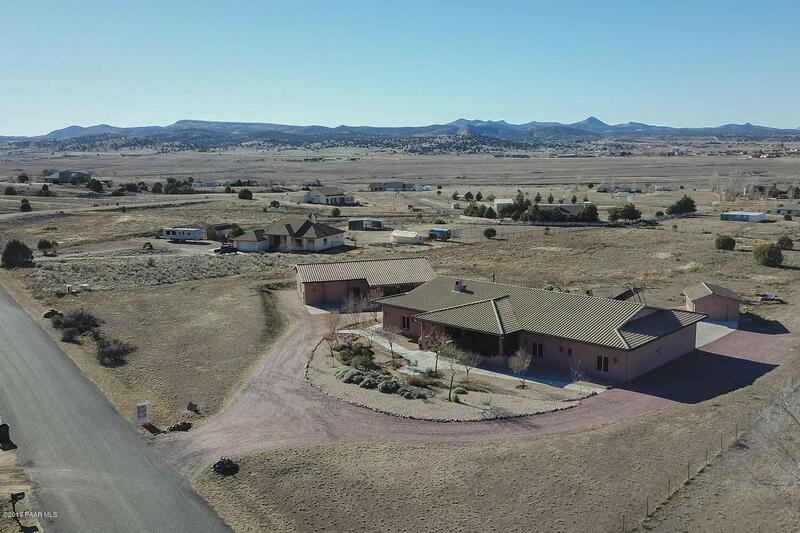 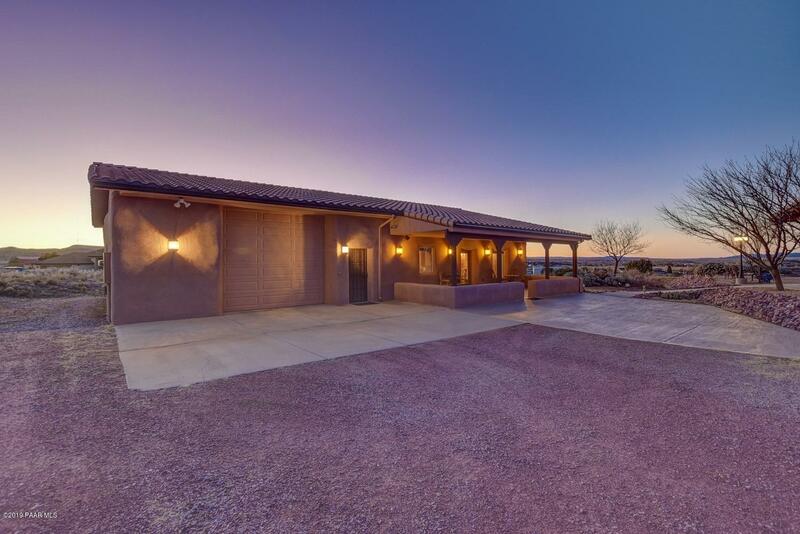 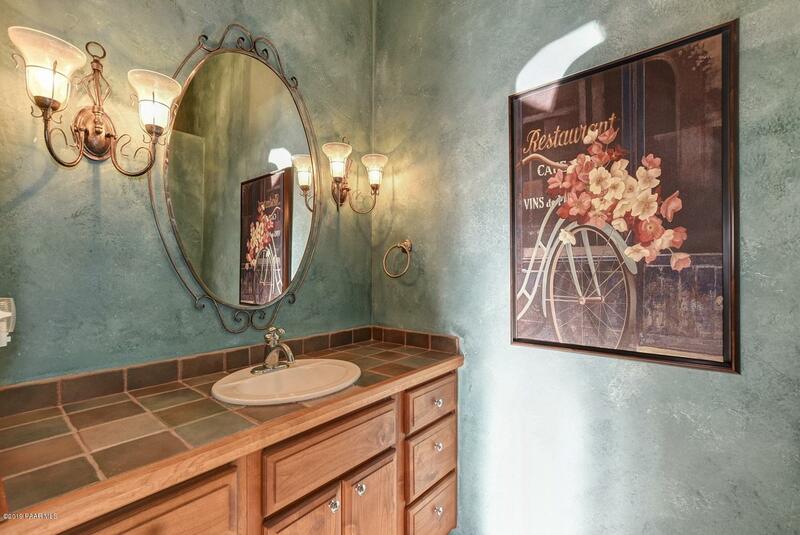 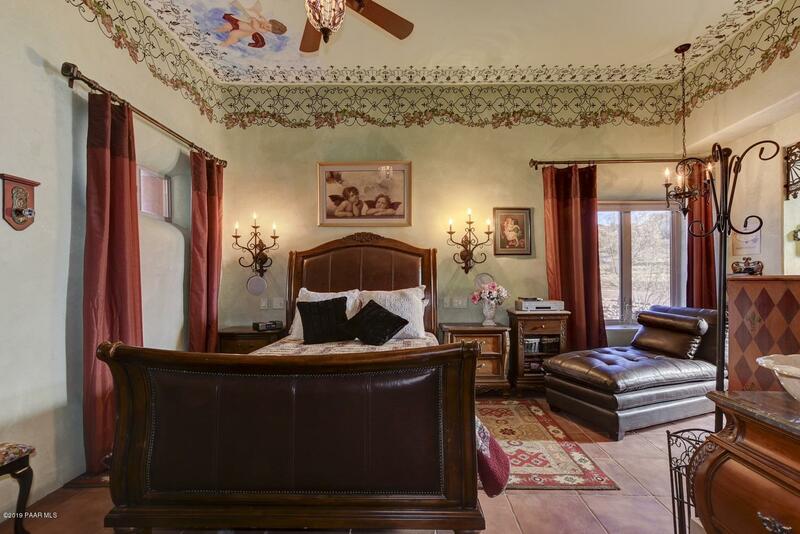 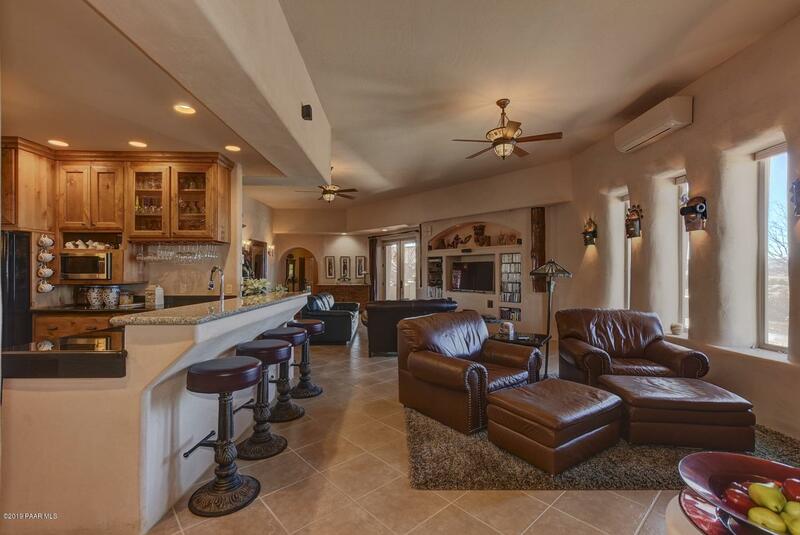 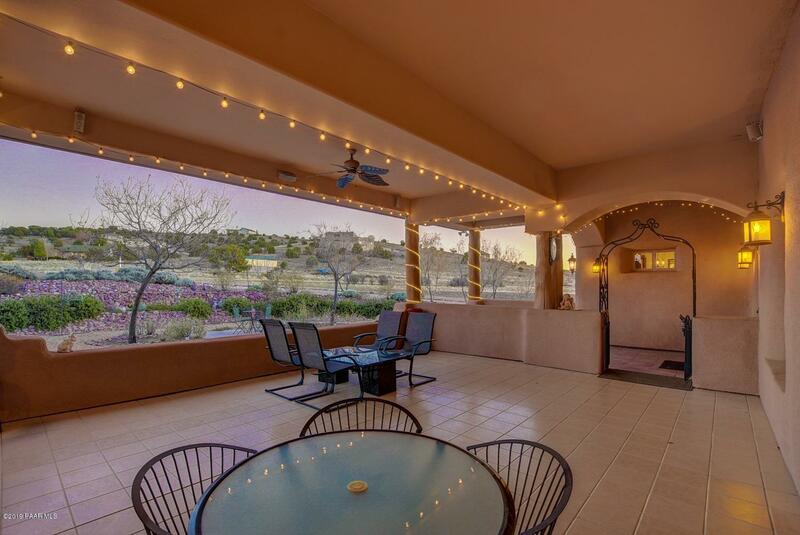 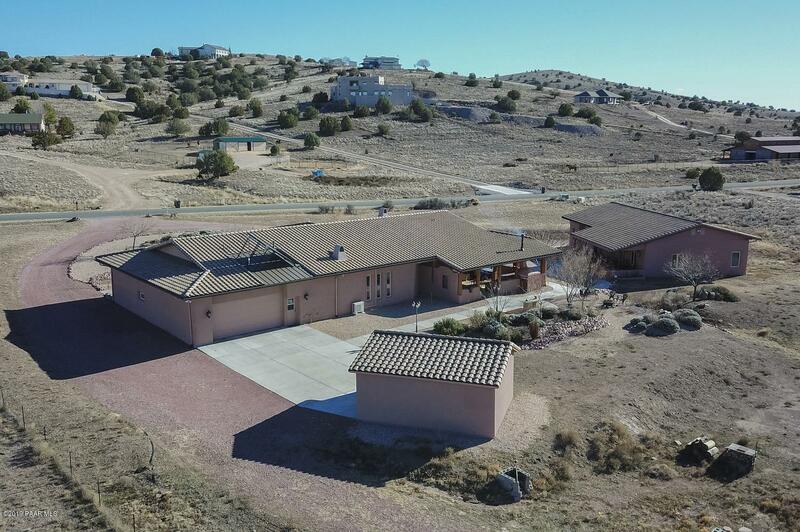 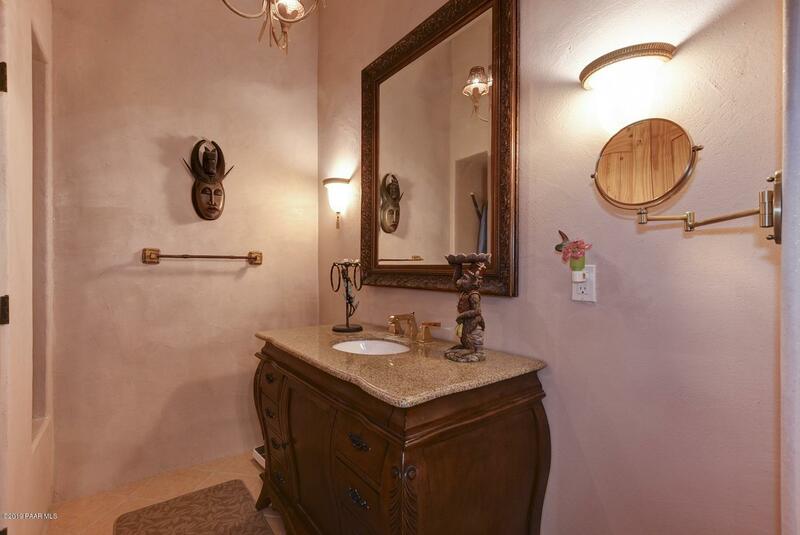 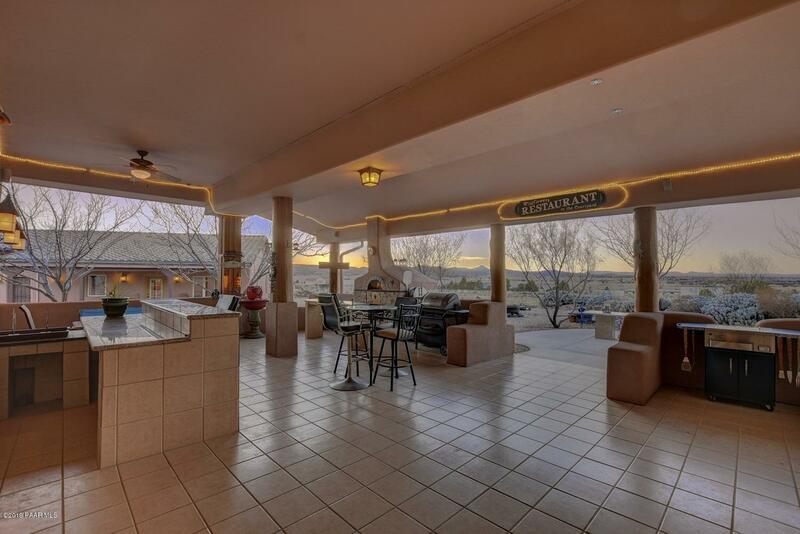 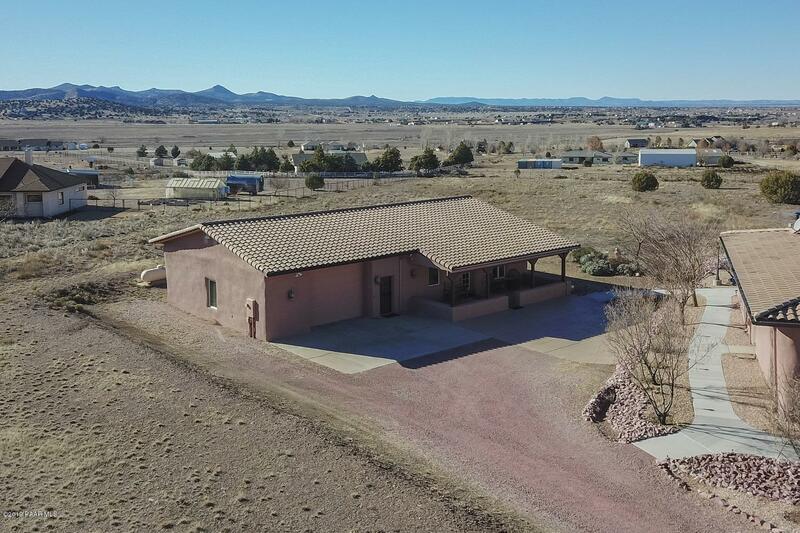 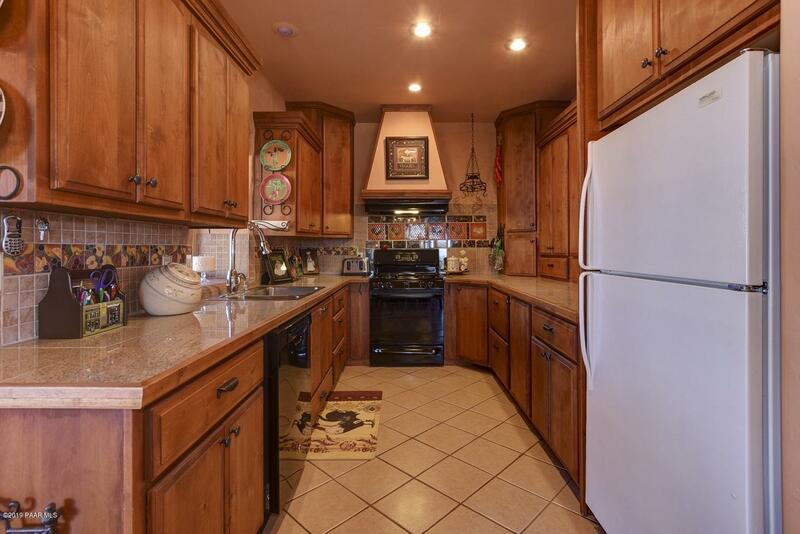 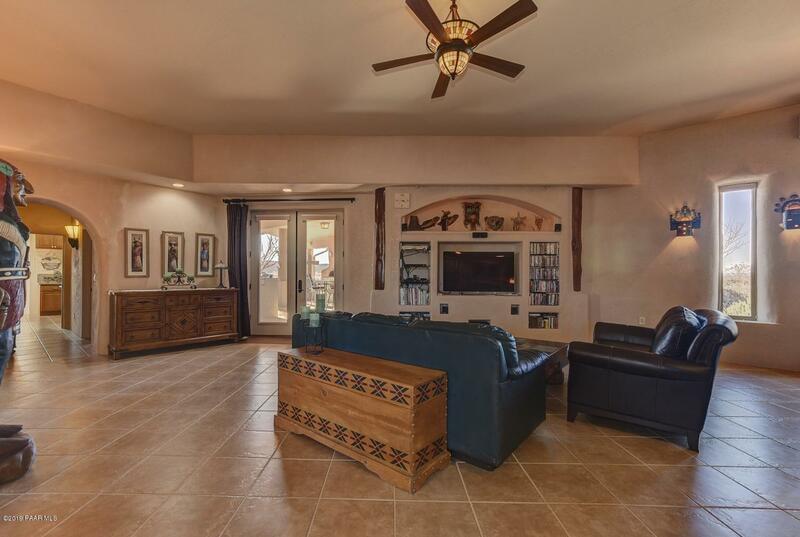 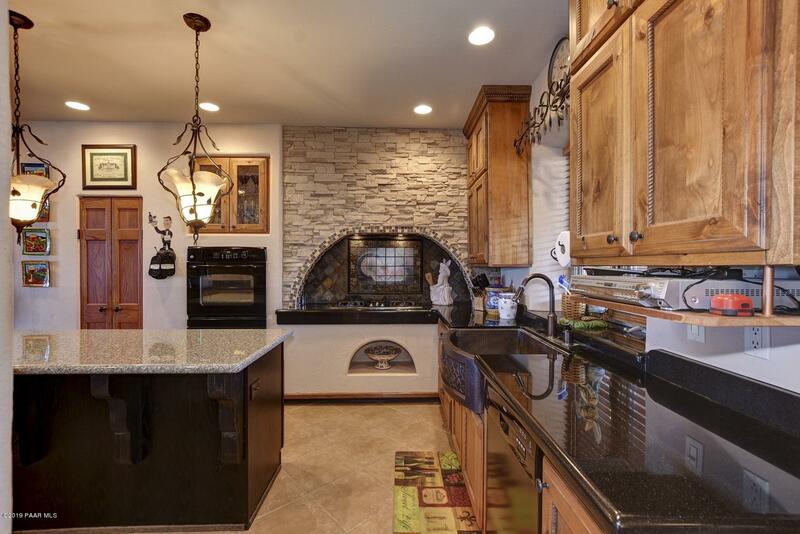 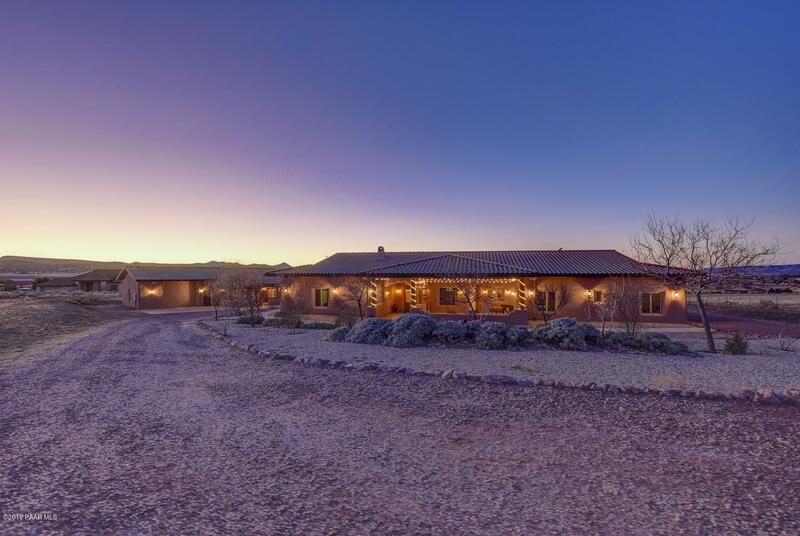 Incredible luxurious upper end home on 4 acre estate in the prestigious Rimrock subdivision, paved roads, underground power, great water supply, 300 days of sunshine, captivating views, and just moments from the headwaters of the Verde River. 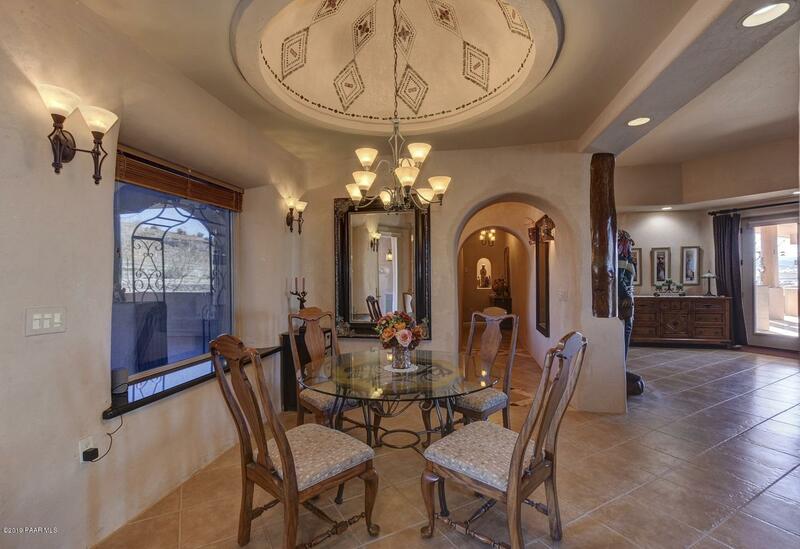 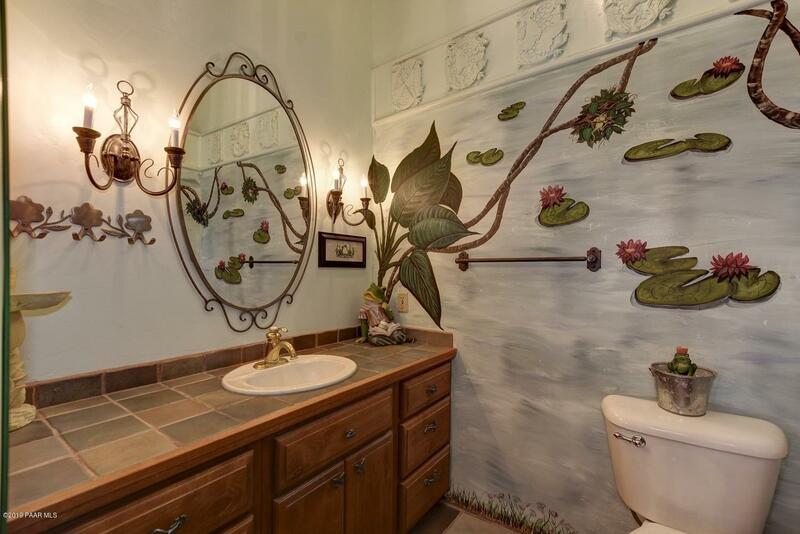 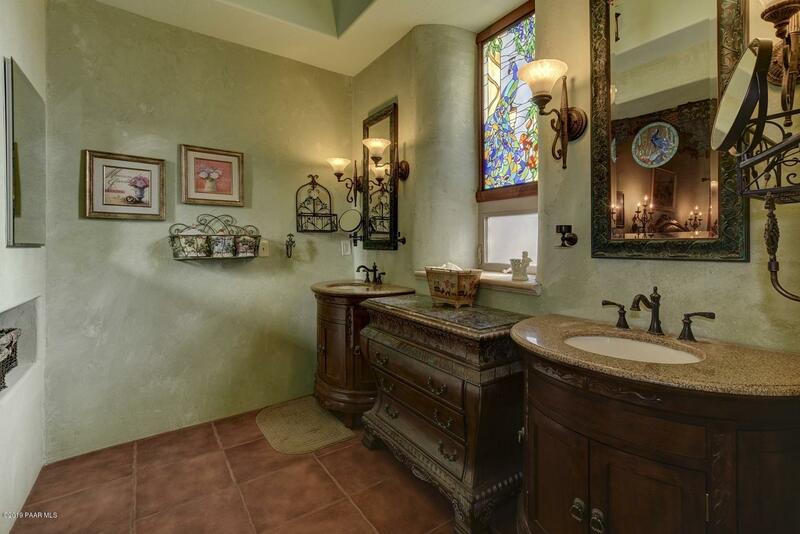 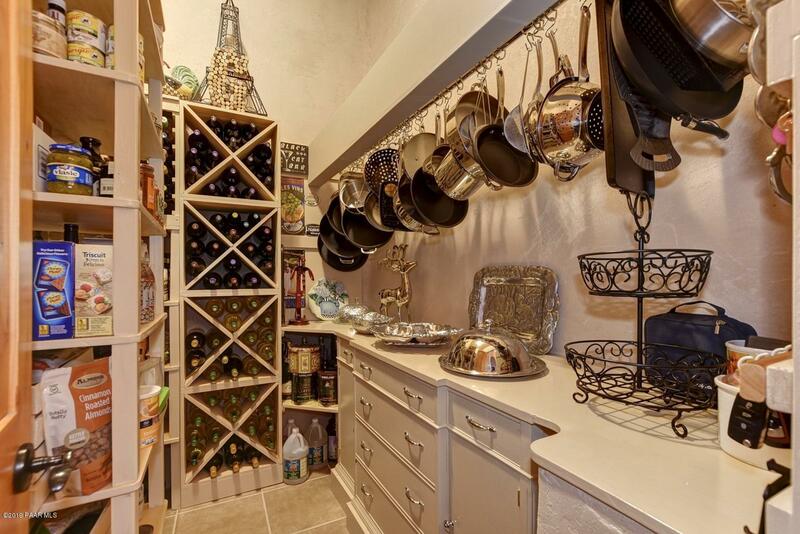 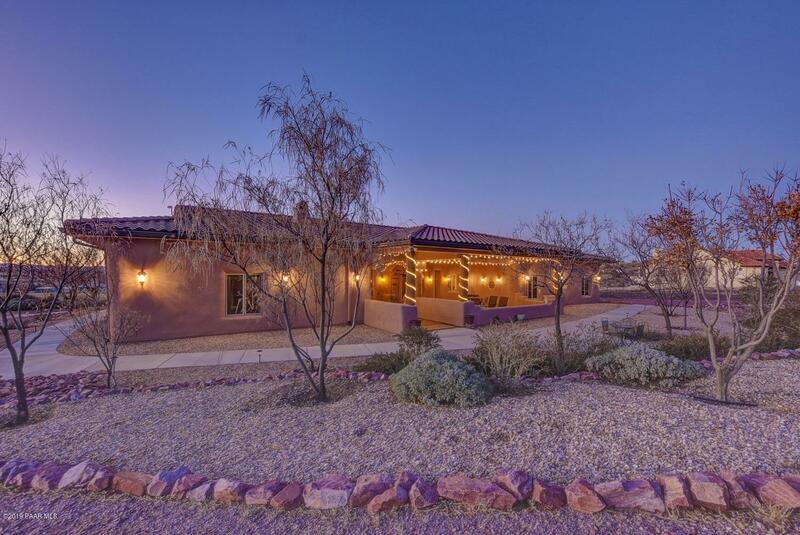 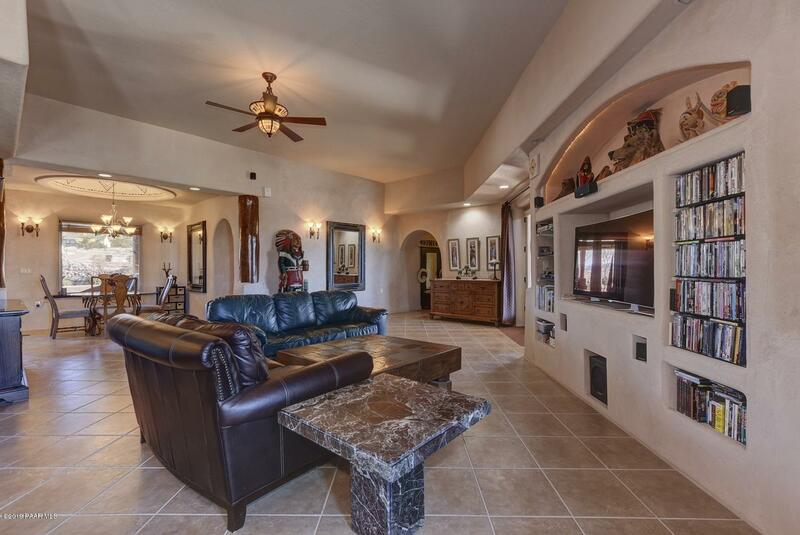 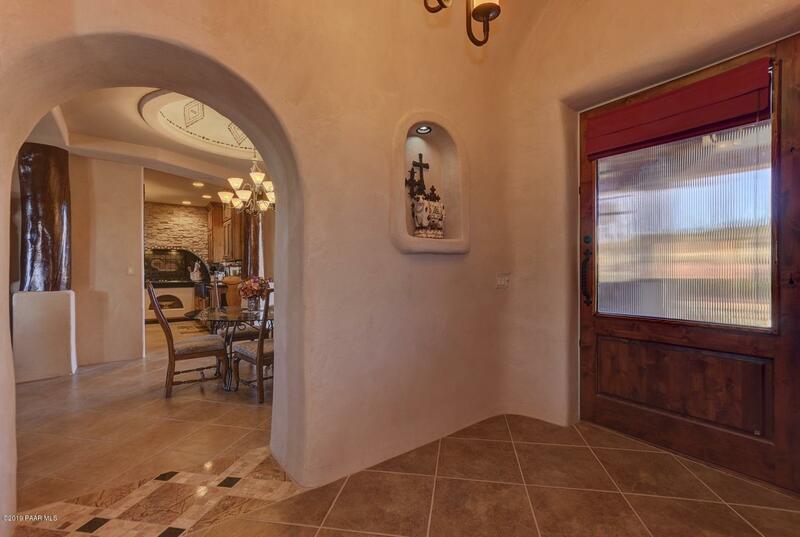 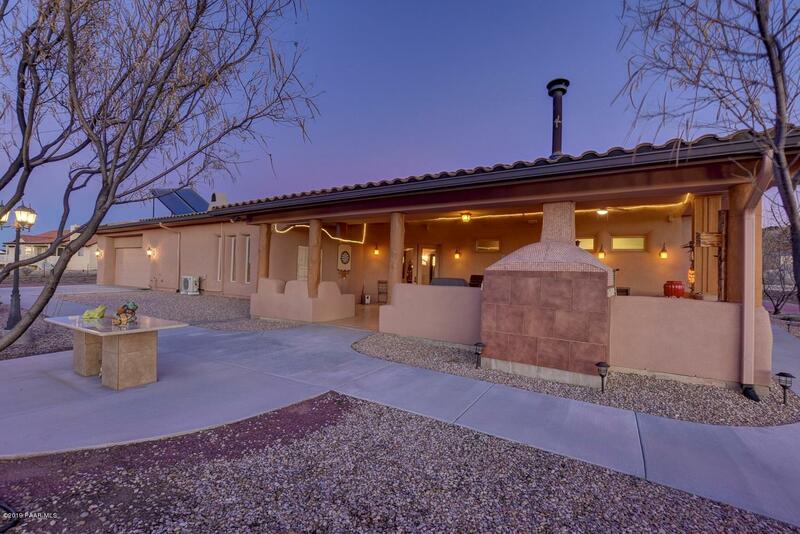 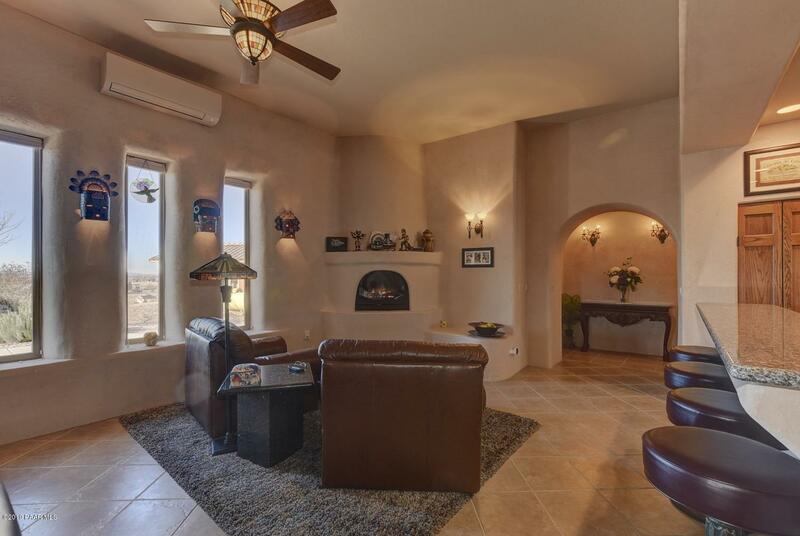 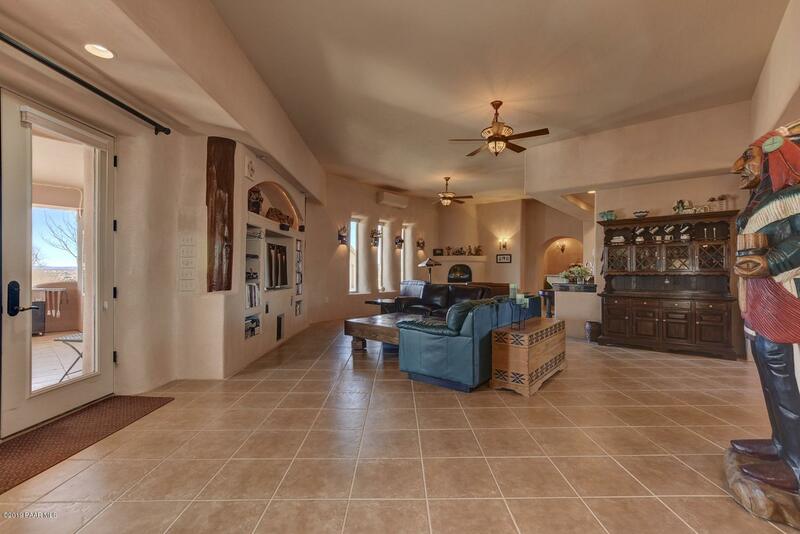 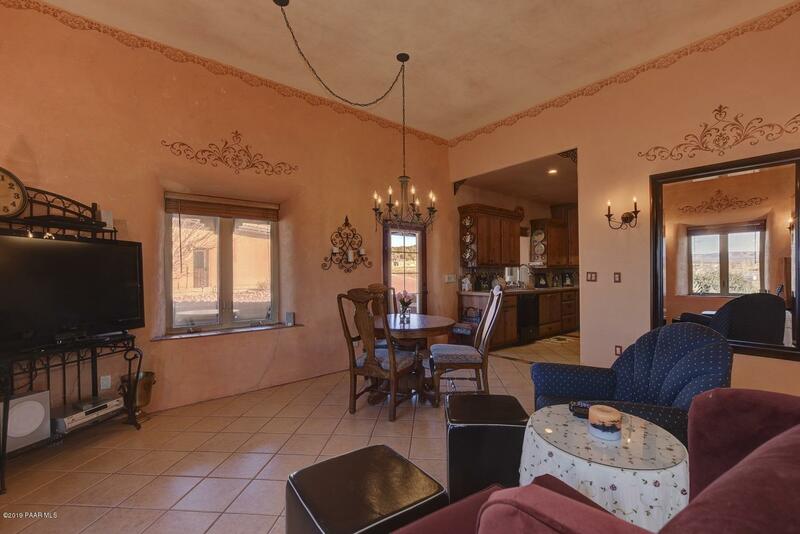 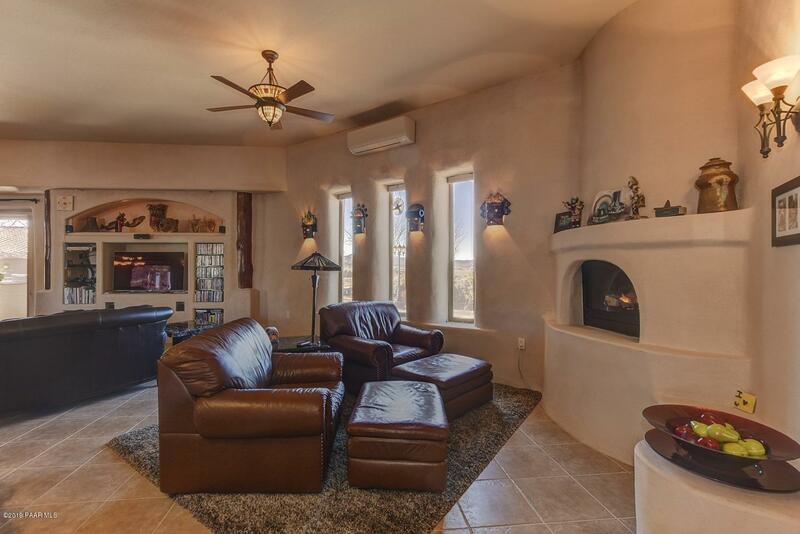 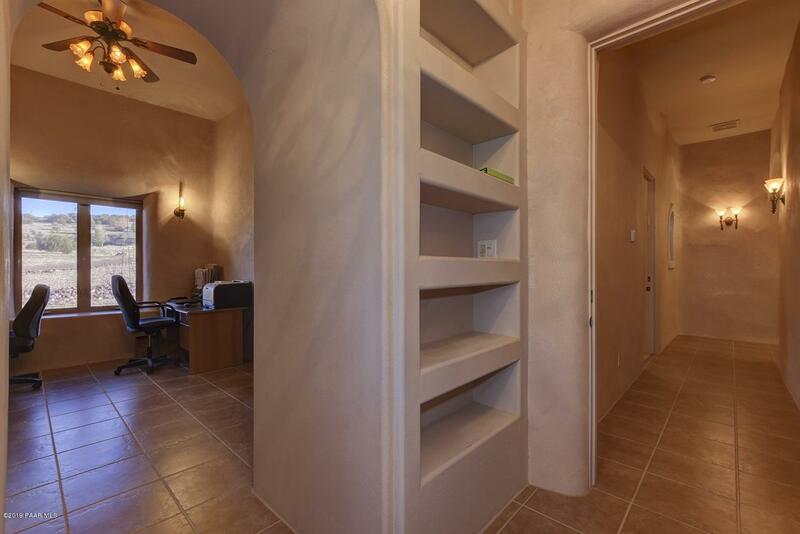 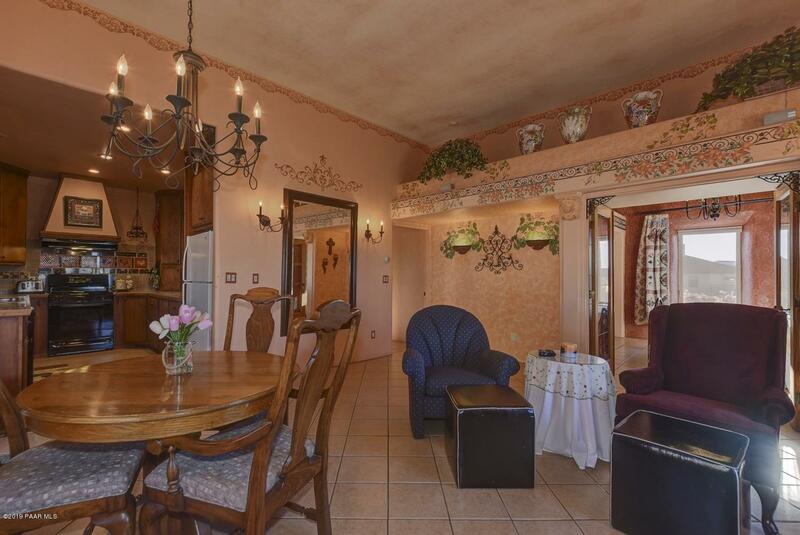 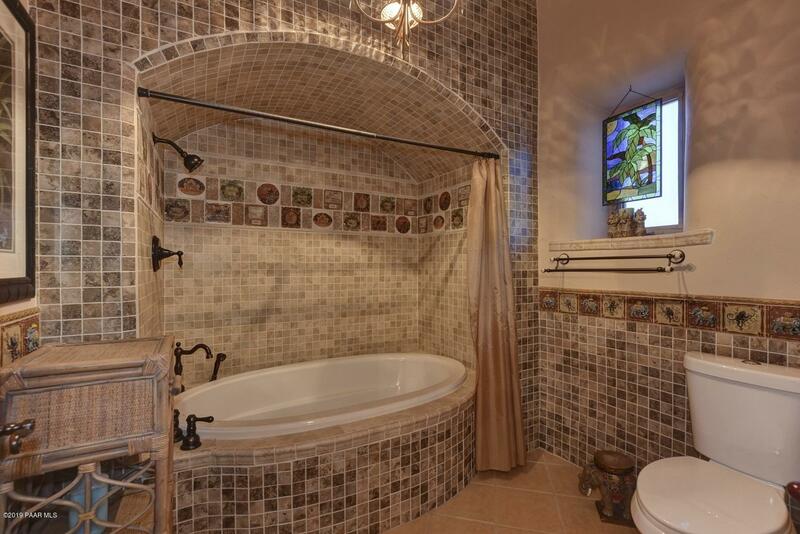 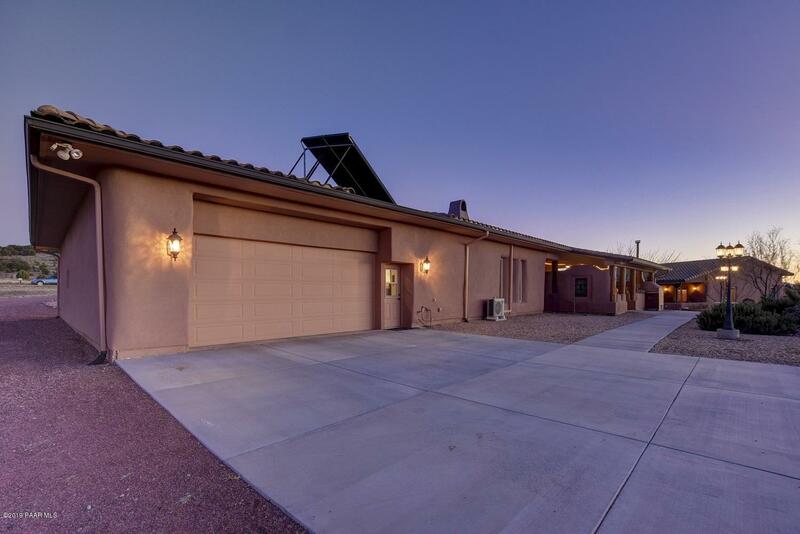 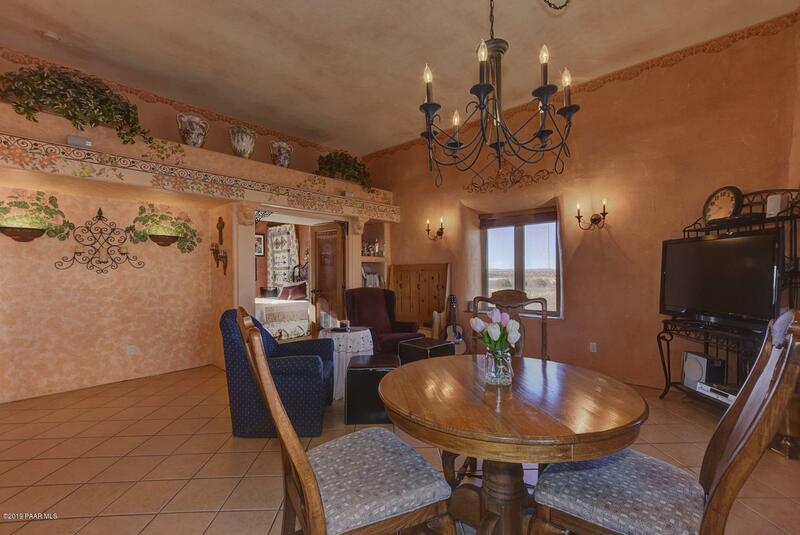 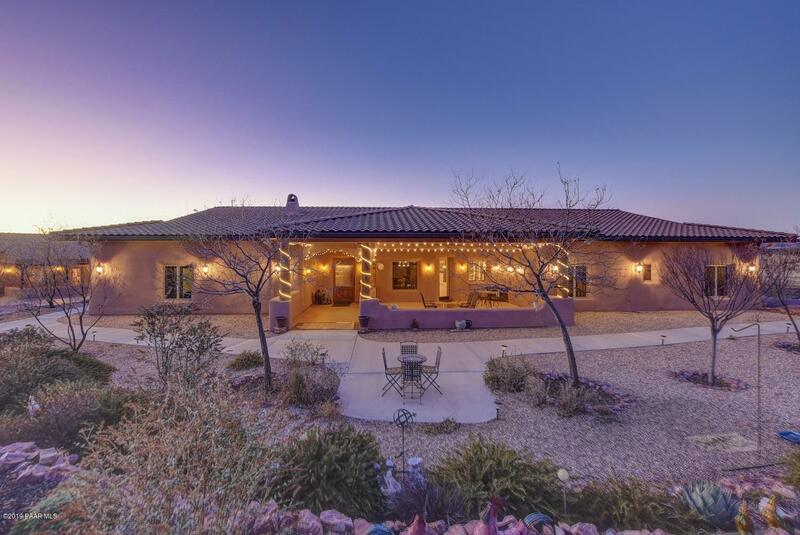 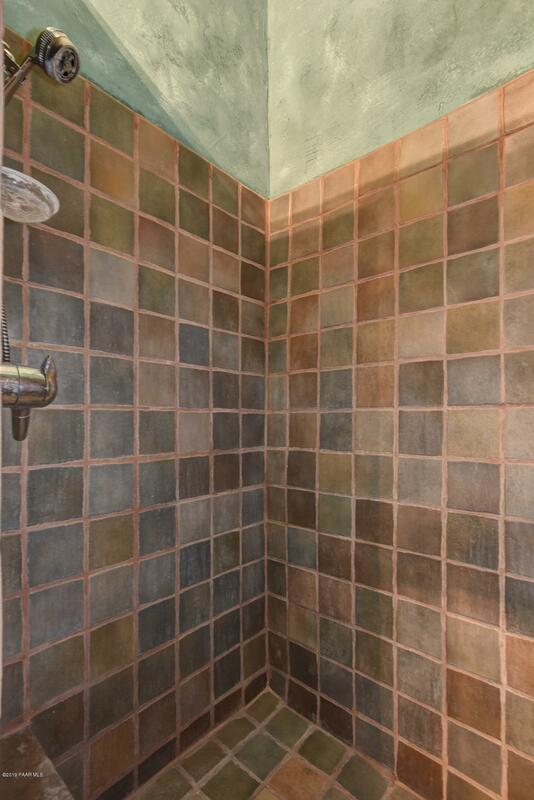 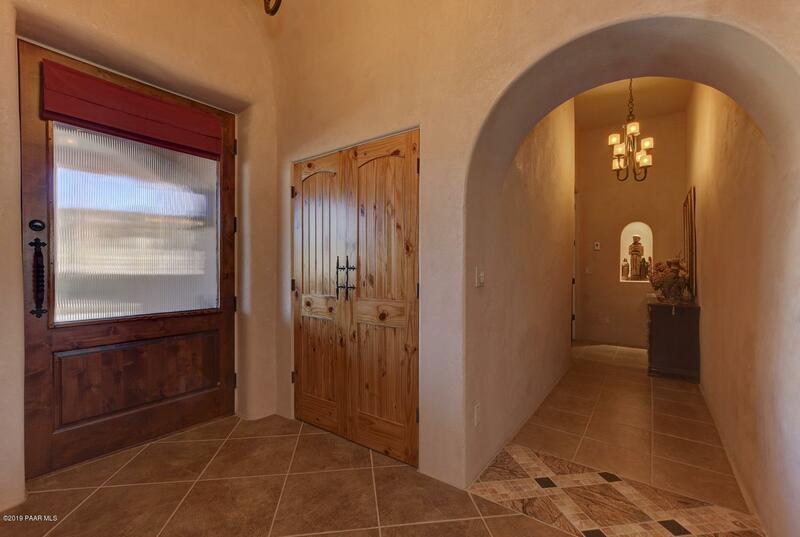 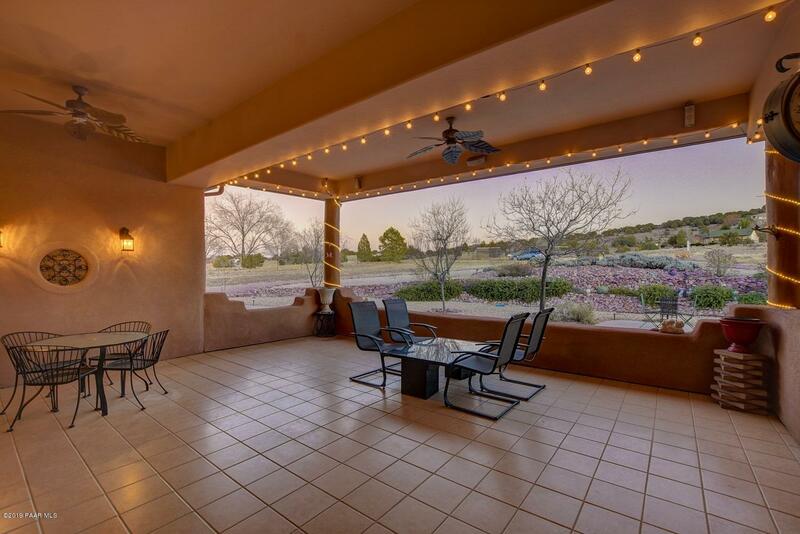 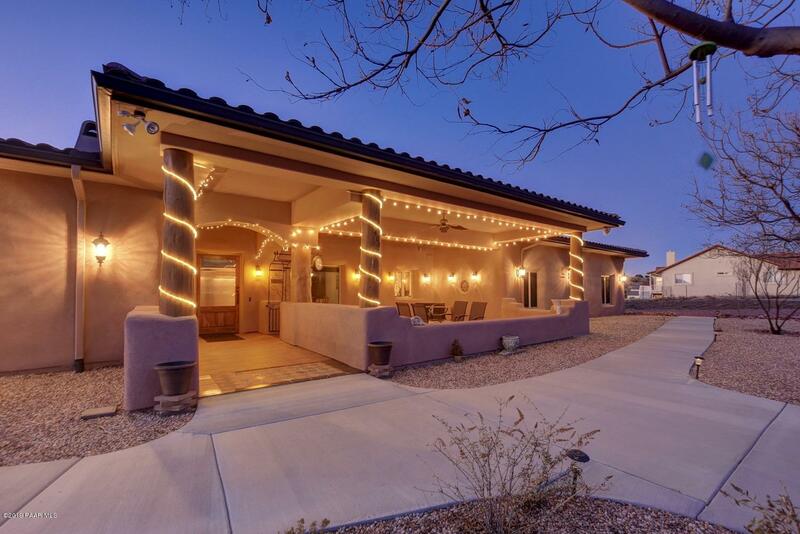 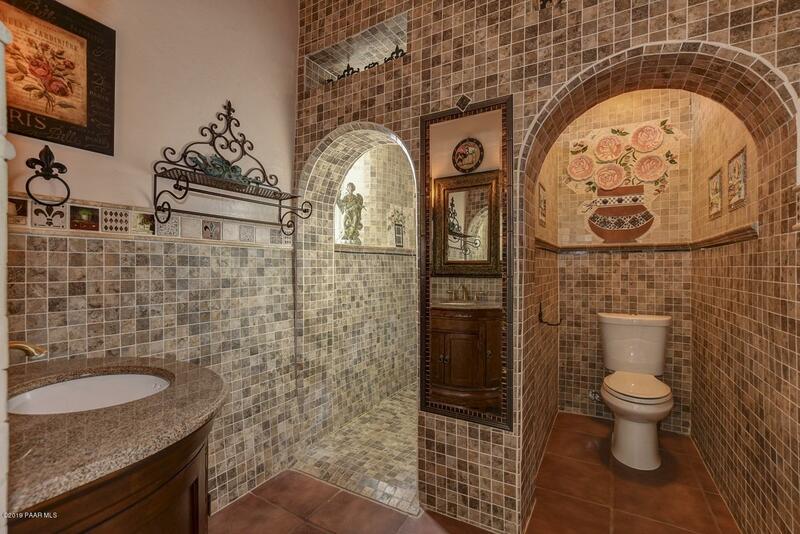 Impeccable detail in this energy efficient Spanish contemporary home, 11 1/2 foot ceilings, numerous arches, hand troweled Venetian plaster walls, chef's kitchen with knotty alder cabinets, 2 sinks, large pantry w/wine storage, extensive granite and tile throughout. 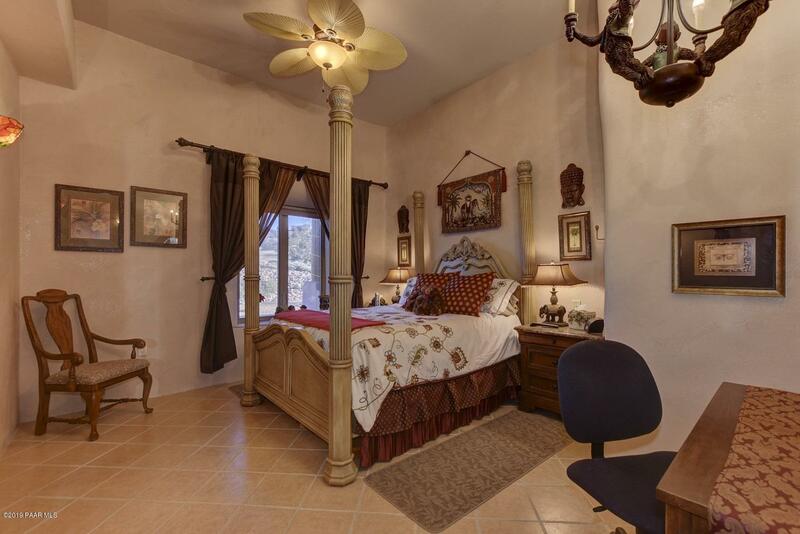 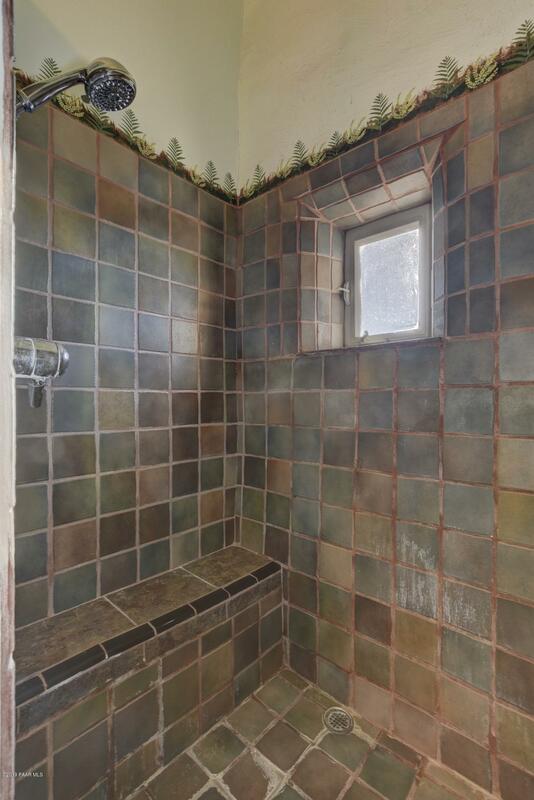 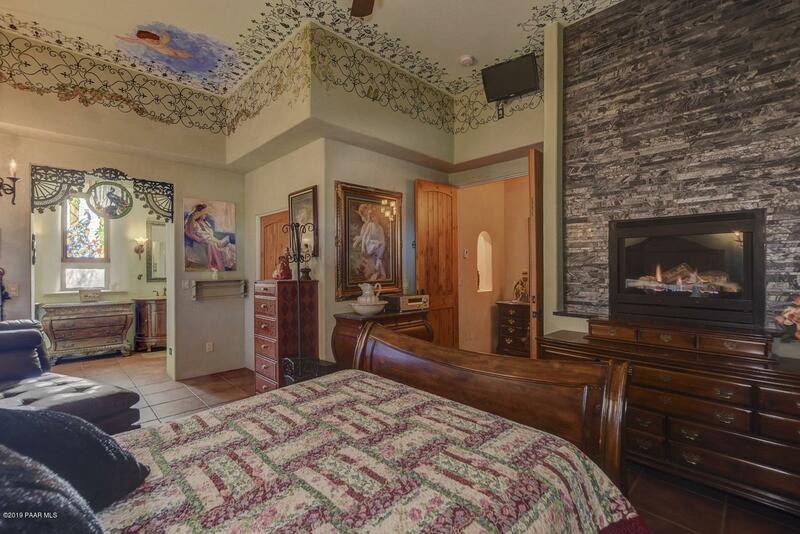 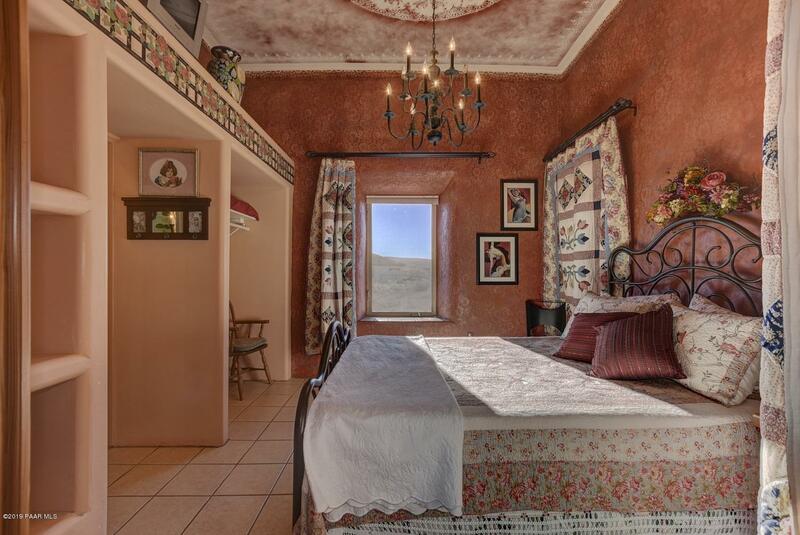 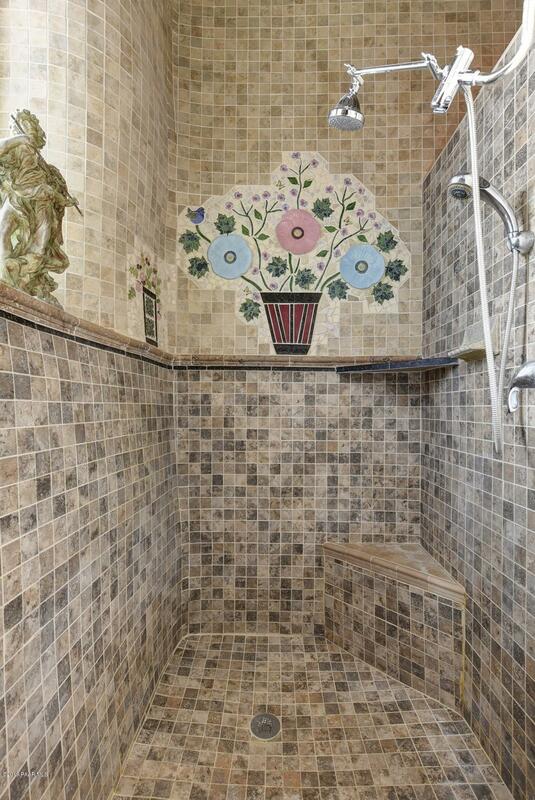 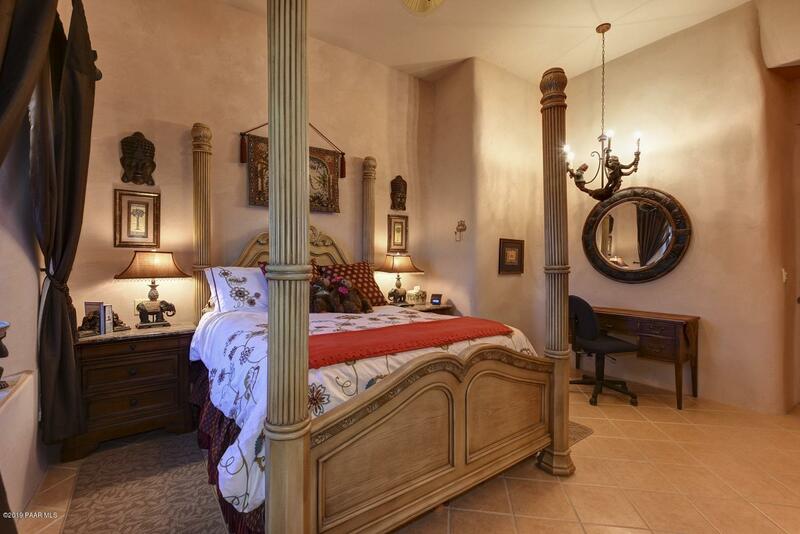 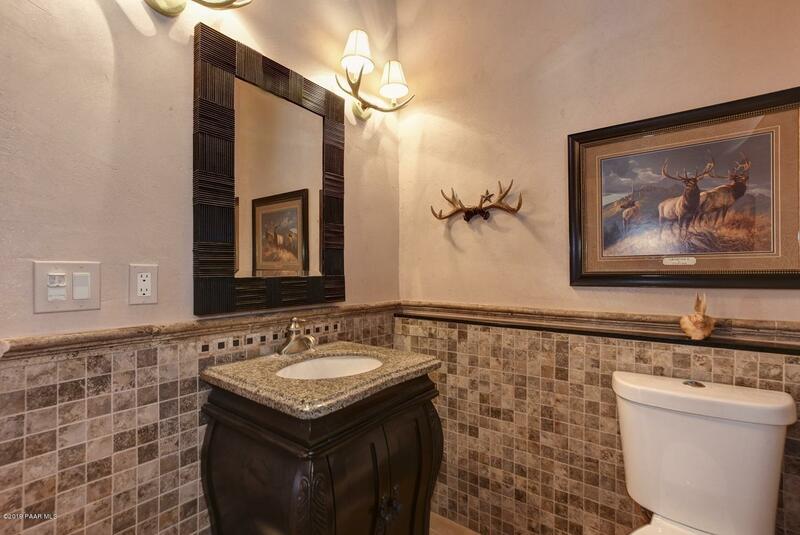 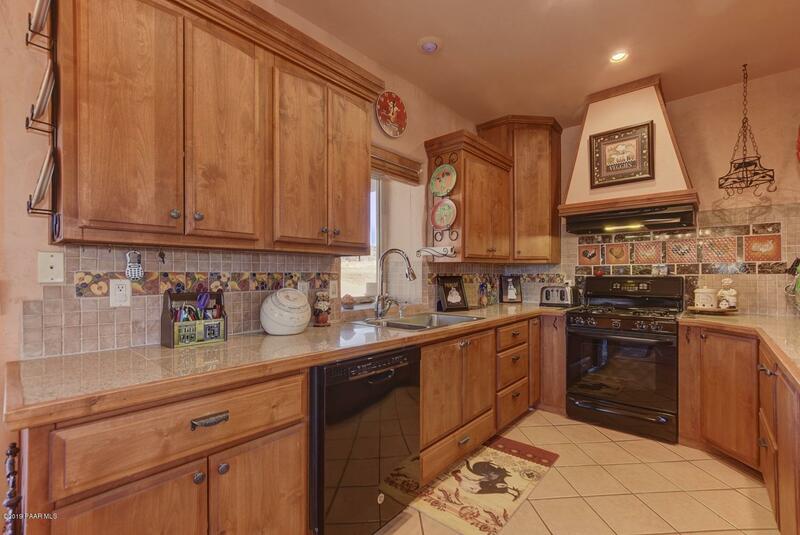 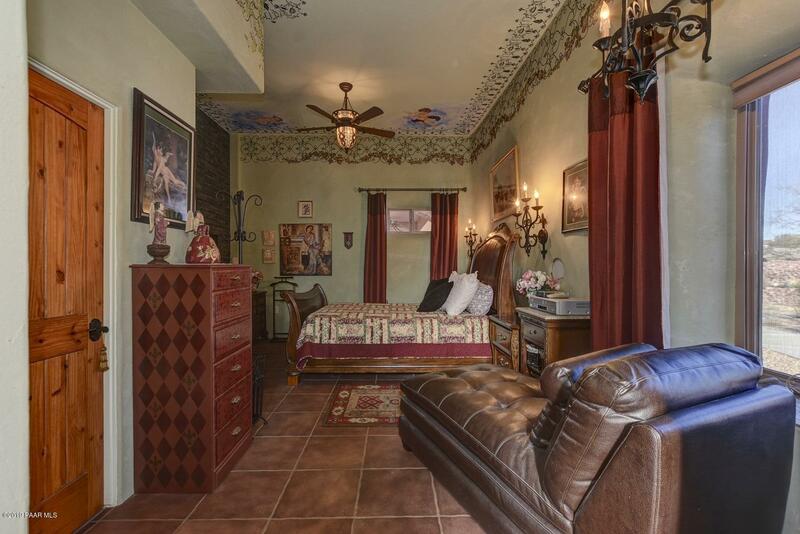 Main house, 3041 ft., 3 bedroom (2 Master Suites), 3 baths. 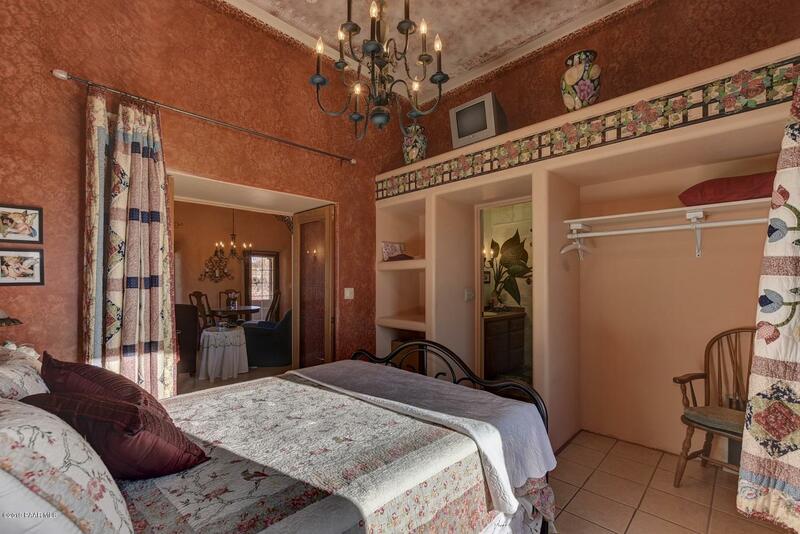 Guest House, 1000 ft., 2 bedrooms, 2 baths. 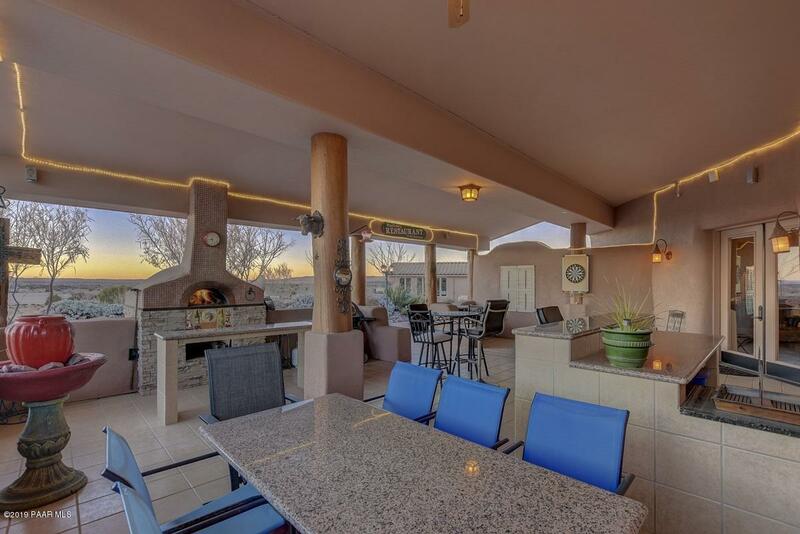 Enjoy outdoor living with over 1700 ft. of beautiful covered porches, pizza/bread oven, granite bars and tables, surround sound. 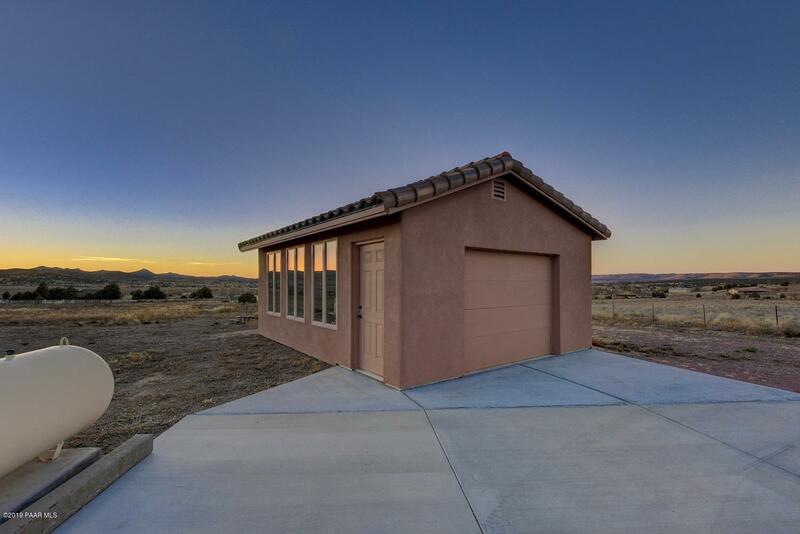 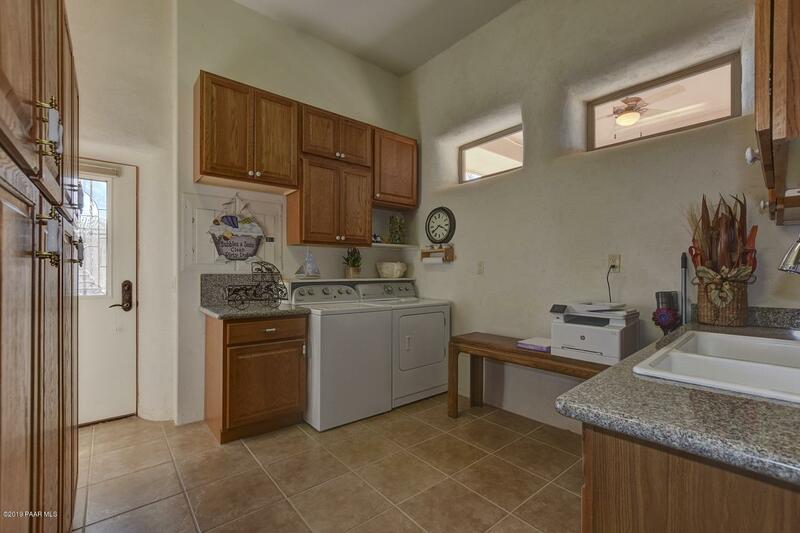 Heated garages, plenty of storage, RV parking. 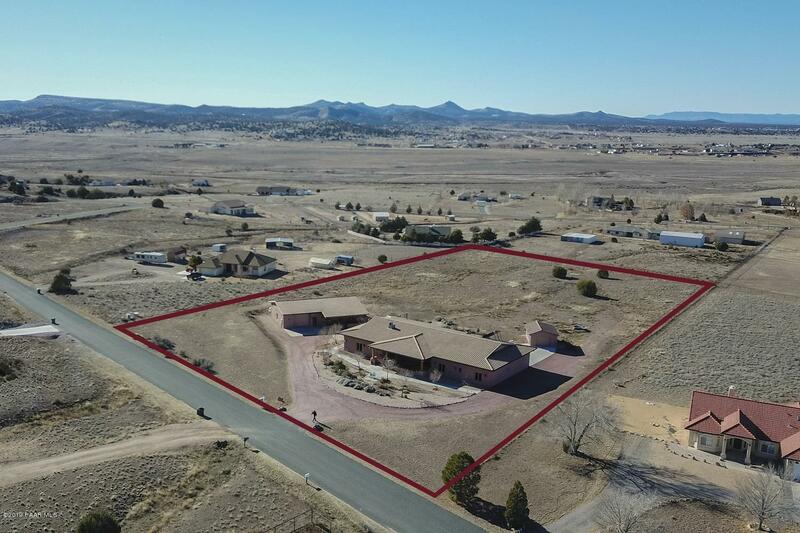 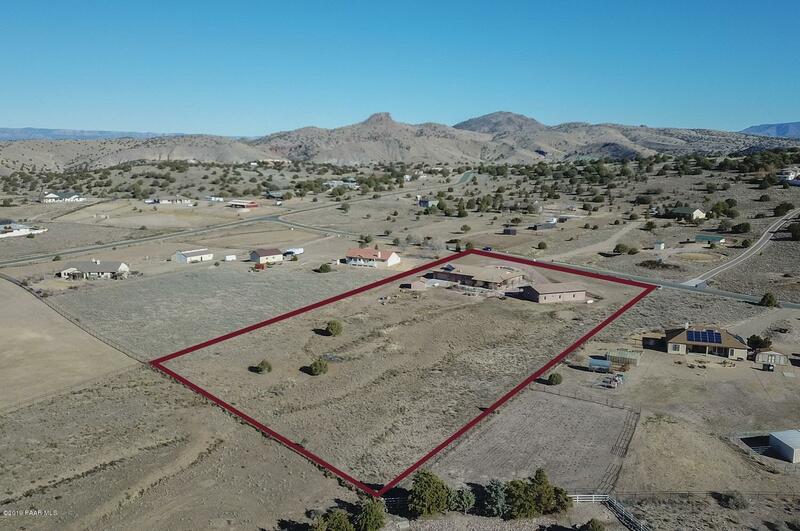 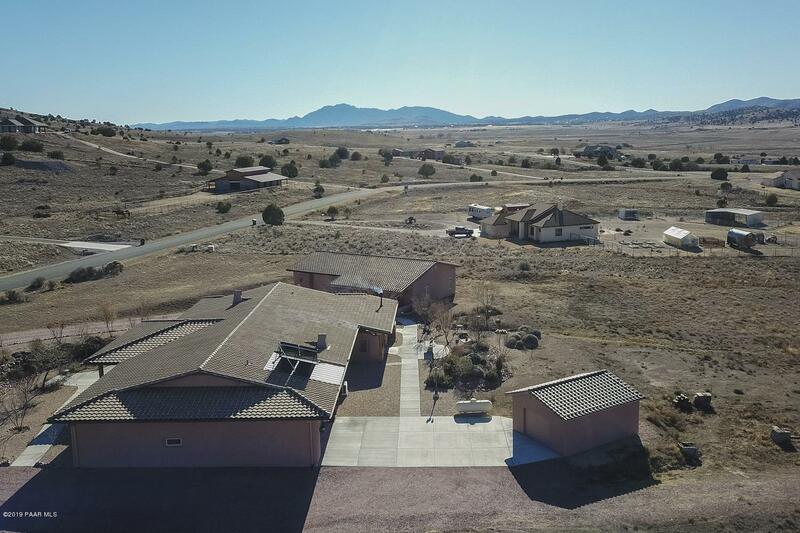 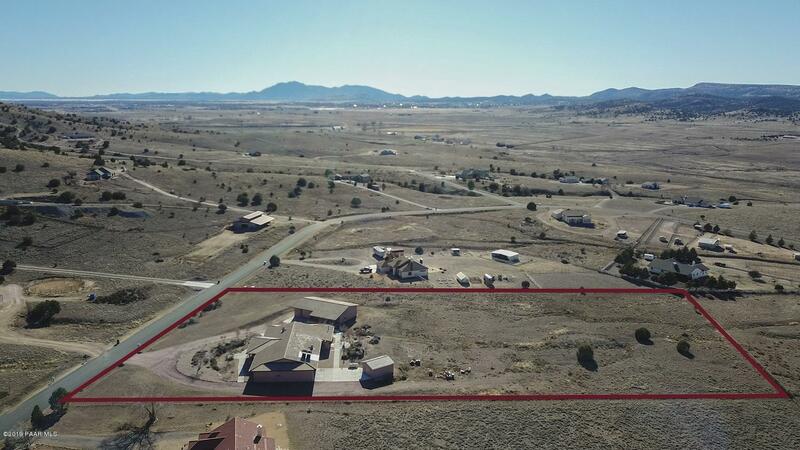 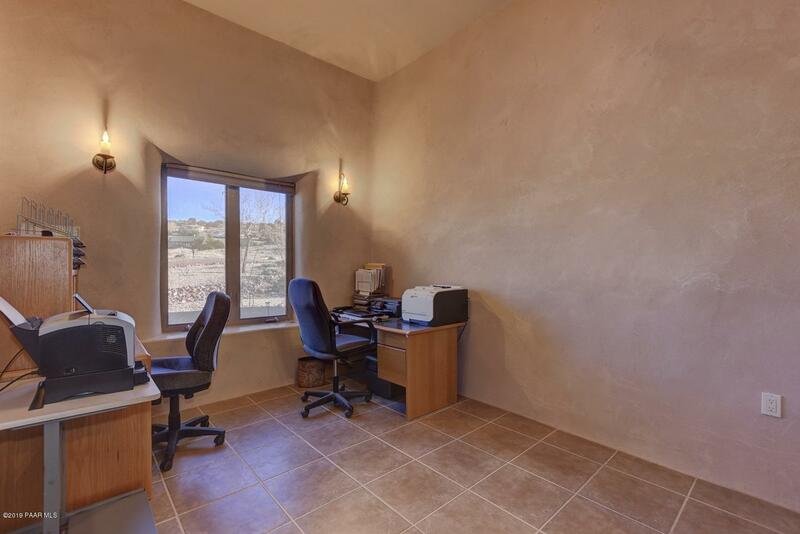 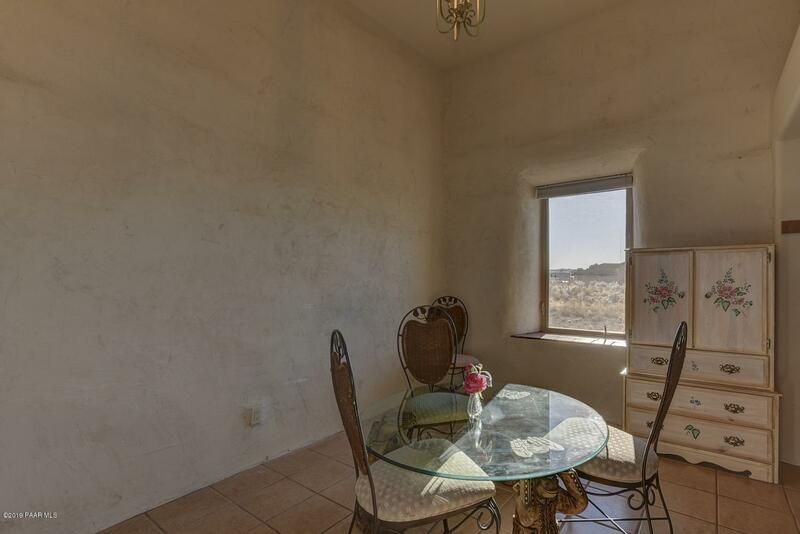 North on Hwy 89, Right on Old Hwy 89, Right on Rimrock, Right on Hackamore , Take the SECOND Right on E Oxbow Cir and follow to Klein Properties sign.